Hastings is a town in the southern part of Oswego County named after Hastings Curtis, an early prominent citizen. Central Square is located within the Town of Hastings. Michaels & Smolak has represented many clients from Hastings. Most of them have found their way to the firm through referral from other lawyers, or after speaking with the firm’s former clients. Although Michaels & Smolak has no office in Hastings, it does have one in nearby Liverpool, directions to which can be found here. The firm also has offices in Auburn and Syracuse. The lawyers of Michaels & Smolak meet their clients at any of these offices, but also, upon request, a the clients’ homes in Hastings and elsewhere. 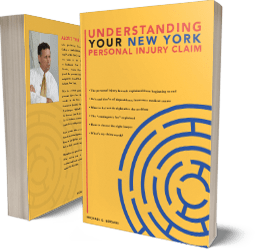 The personal injury and medical malpractice lawyers of Michaels & Smolak often appear in the Oswego County Courthouse on behalf of their injured clients. Although the firm rejects all “frivolous” claims, and claims were only minor injuries were suffered, it accepts all legitimate claims where significant or serious injuries have been sustained. Michaels & Smolak is happy to accept telephone calls from potential clients, and they provide a free consultation by phone.